Send Gigster your app idea and it sends you back that app. No coding. No hiring. No wrangling freelancers. Just a fundamental shift in how software gets built. That’s why Andreessen Horowitz has led a new $10 million Series A for Gigster just 18 weeks after its launch. The lauded venture firm was impressed with Gigster’s artificial intelligence engine. It converts a client’s product proposal into a development plan, and helps Gigster’s army of remote developers plug in pre-made code blocks to efficiently build the app. Built by co-founder and CTO Debo Olaosebikan, Gigster’s AI perfectly fits Marc Andreessen’s investment thesis that “software is eating the world“, and Andreessen partner Chris Dixon’s thoughts about “software eating software development“. 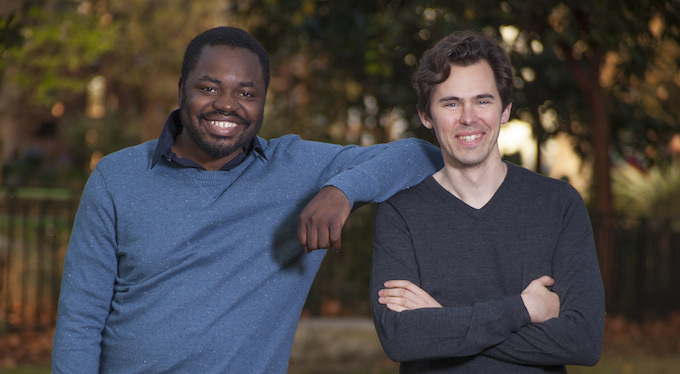 Dickey and Olaosebikan founded Gigster a year ago. Dickey had been coming up with app ideas while working at Zynga after selling it his game studio and leading creation of hit title Mafia Wars. After leaving and trying to prototype these apps, he realized how hard it was to hire and manage great freelancers from services like Odesk/Upwork. The pair built Gigster to take that hassle out of building an app. The company finds top-notch freelance developers, designers, and project managers with pedigrees from MIT, CalTech, Google, and Stripe, and only accepts 5% of applicants. A sales engineer discusses proposals with clients, and using the AI engine, comes back with a price quote and production schedule in about 10 minutes. Then Gigster manages the entire development process through delivery of the fully-functional app. Gigster scored a late entry into Y Combinator and ended up with $2.5 million in funding from YC, Greylock, Bloomberg Beta, Felicis Ventures, AngelList’s Naval Ravikant, Facebook Messenger’s Stan Chudnovsky, and Twitch’s Emmit Shear. Within two weeks of its launch in late July, Gigster already had $1 million in sales booked. Initially, Gigster was focused on serving independent entrepreneurs and smaller startups. But now, Dickey tells me “the client base moved to enterprise”. It’s now giving big, slow companies that software development superpowers of nimble startups. Working with more professional clients that know what they want also makes the whole process smoother. The startup will now compete more with Pivotal Labs. Gigster has now had over 300 customers. Perhaps its biggest challenge will be retaining quality and speed as it scales up. Gigster apps are built to be full-functional minimum viable products rather than perfectly polished user interfaces, so the company could look to offer follow-on design services. Building out its own AI platform will be the focus of Gigster new $10 million. The Series A led by Andreessen Horowitz also includes Y Combinator Continuity Fund I, Ron Conway of SV Angel, Ashton Kutcher of Sound Ventures and Jason Calacanis of Launch Fund. Lars Dalgaard, Andreessen partner and former CEO of human resource management giant SuccessFactors, will join Gigster’s board. Andreessen is clearly bullish on the changing nature of software development. Years ago it invested in the seed round of freelancer marketplace Toptal. Though Toptal requires clients to manage the talent they hire, they could still be seen as a competitor to Gigster for getting apps built.